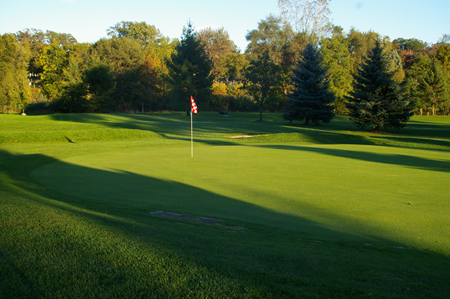 Just minutes from I-94, Pine Shores Golf Course is a beautiful, executive-level nine hole course. The greens are well-maintained, fun and very affordable. It’s an easy on and off course that can actually be played within 1-1/2 hours — perfect for anyone with a busy family or work schedule! We have a variety of leagues to fit your schedule and your lifestyle. Pine Shores Golf Course will put your shotmaking accuracy to the test! Find a league that’s right for you! Pine Shores Golf Course offers spacious banquet rooms available for rent. We provide the setting and service to make your events memorable. Get in touch with us to schedule your event today! 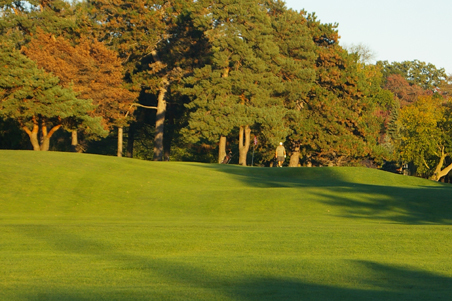 Pine Shores Golf Course is only minutes away from I-94. We're also a nearby destination for Canadian golfers - just across the St. Clair River! Take advantage of our free shuttle service to and from the St. Clair Boat Harbor. The 9-hole "Pine Shores" course at the Pine Shores Golf Course facility in Saint Clair, Michigan features all the hallmarks of Michigan golf. Designed by Fred Hunter, the Pine Shores golf course opened in 1930. Bob Bieth manages the course as the Superintendent.